And the exciting resolution to Ada stabbing the sandworm in the eye is…going to have to wait for a week. I’m terribly sorry, sometimes life just comes first and as a result, Halloween comes a little early. In exchange for no new comic this week, I hope that you enjoy this little piece of fan service. 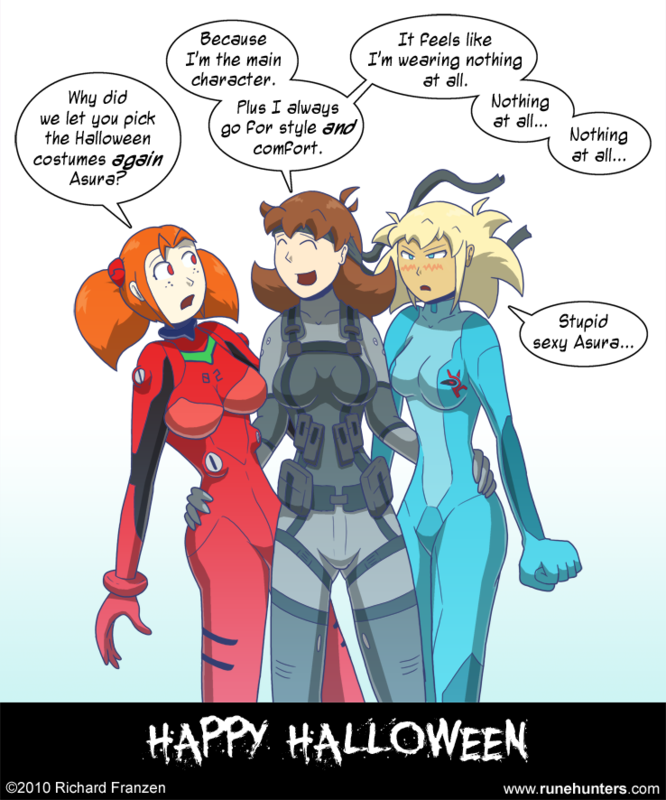 If you can’t tell, Kate is dressed up as Asuka Langley, Ada as Samus Aran and Asura is cross-playing as Solid Snake. A little bit of fun for everyone, even with a reference to the Simpsons. Also in the Halloween spirit, check out last year’s Halloween piece.